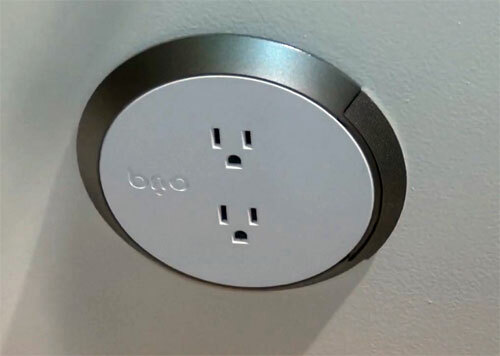 The Brio Home Safety Smart Outlet Plug is the worlds safest power outlet. It can identify what is being plugged in and stop electricity from entering into a knife, wire, or other non-plug item. Roger from Brio also plugged in a light socket, then put his finger in the socket to show the real levels of protection. The plug has a LED alert system and a host of sensors inside that will alert you to any issue. The sensors are placed around the house individualy. They also can detect smoke, C02, fire and more. The sensors then communicate information to the app so you can take proper action. The Brio system will be available later this year, but you can pre-order now. The smart outlet is $79, and sensors range from $19-$39.